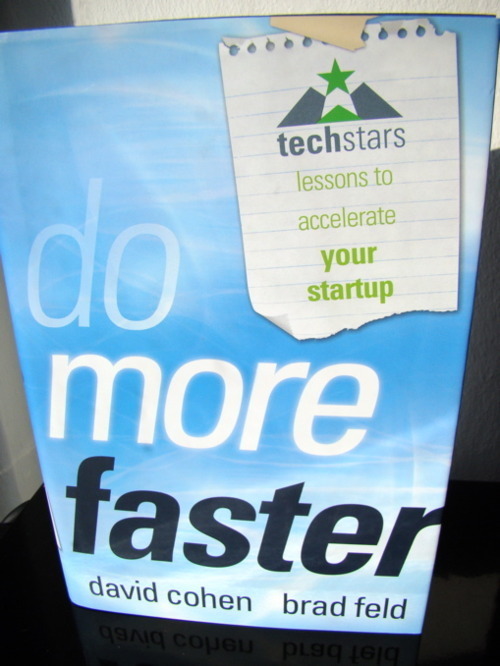 The techstars program is famous and so are Brad Feld and David Cohen. They talked to lots of members and mentors of the techstars program and let them write small articles on different subjects. How did it work out? Concentrate on doing one thing good: So you work on your product and want to compete with some big company. What will you do? Provide more features than their product? Nice try, you already lost the battle. Mature products, like Microsoft Office or Matlab are crowded with features. If you want to compete then you should focus on doing one thing unexceptionally great. You don’t have to resources to implement millions of features and you won’t stand out. Decide and execute fast: What is the huge advantage of startups / small companies against big corps? Agility. If you can decide and execute fast, you should. I saw small companies which had structures like big corps. This lead to slow deciding and executing and killed them, at last. Don’t waste time on bureaucracy and execute now. You don’t need VC: Some people think that you aren’t a real tech company if you don’t get any VC money. That’s not true. Firstly, you have to understand if you need money and what the implications are. No outside money means more freedom later on. You may start faster at the beginning but it can happen that you build your product, get lots of customers and then get kicked by your VCs and get $100k for three years work. I’m frankly disappointed by this book. It got great names on and in it but it doesn’t reach my expectations. It’s hasn’t much substance, most tips are superficial. The format isn’t the problem here, other books like Joel’s Best of Software Writing I did a great job in collecting articles and publishing them. No recommendation.